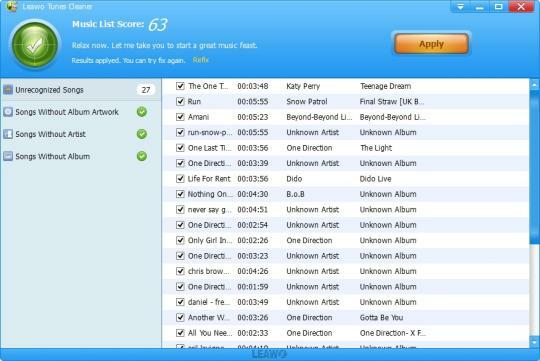 Normally $29.95, this utility will restore album art, tags, and the like to the music in your iTunes and other libraries. promising to clean things up, but most of them will cost you. Not today. Until tomorrow, you can get Leawo Tunes Cleaner (PC/Mac) absolutely free. There’s a slightly obnoxious catch, but ultimately it’s no big deal. send you an activation code to unlock the full version. objective endorsements, check out CNET’s recent review of Tunes Cleaner (3.5 stars), along with the half-dozen or so user ratings (4.5 stars on average). all that information for most of them. at cleaning it up — free of charge. Samsung Galaxy S5 Fingerprint Sensor to Cover Entire Screen!